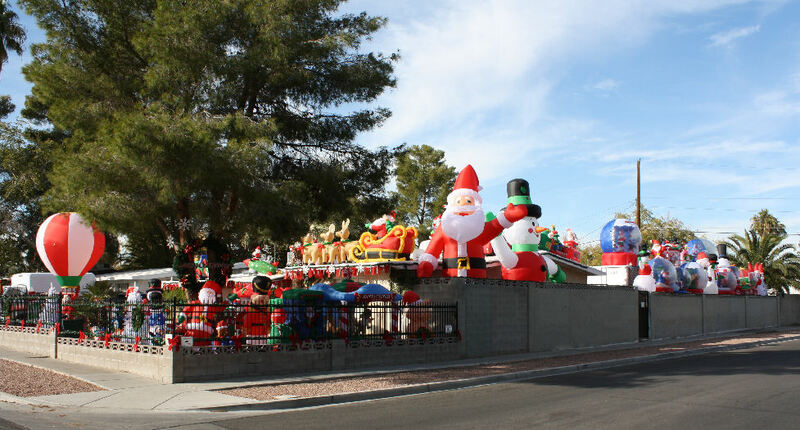 First, the best holiday display among all the Vintage Las Vegas Neighborhoods. 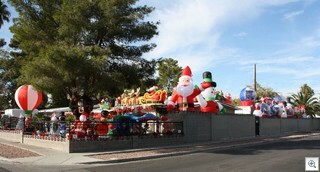 My dear friends Lee and Laura have really out-done themselves this year with their holiday wonderland. Nighttime is best of all to see it. FRIDAY NIGHT DECEMBER 23 They’ll be serving hot chocolate to all who stop by from 6 to 8 pm. 1901 Houston Ave, at the corner of Crestwood Drive. (south on Crestwood from Charleston or west on Houston from Eastern). It’s also in the begging to be re-discovered Mid-Century modern neighborhood called Crestwood. Secondly – as a holiday greeting and wish for all of you – I give you a little video from The Uk’s number one Jive and Swing Band – The Jive Aces. A big thank you to Vegas Judy for sharing it with me. It brought a much needed smile to my face, and if Las Vegas needs anything right now, it needs a smile. Pass it on! Make sure to catch the little homage that’s paid to Louis Prima right near the end.